FoxAcre Press is a Small Press Publisher. 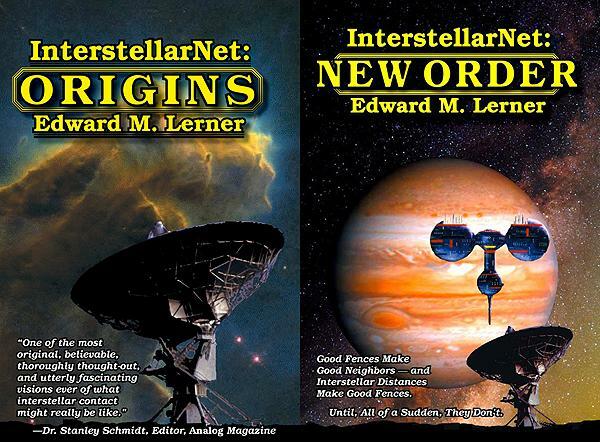 We offer reprints of classic science fiction titles, How-To books on writing and publishing, and general non-fiction. Book-On-Demand Info is available on the BOD Resources Page. Get all the Shipping News -- with our updated shipping rates. Welcome to the FoxAcre Press Home Page! Click HERE to Visit our Online Ordering System. FoxAcre Press Ebooks Now Available! Click on this Ebook List Link to Learn More. FoxBytes is Live! Come join the Conversation, Get The Latest News -- And Scoop up Some Free Downloads! Big News! 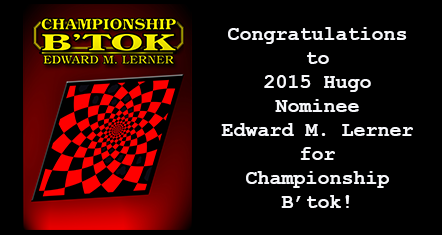 InterstellarNet: Enigma wins the Canopus Award! Click on this link to learn more. Warning! The Eye of Argon sighted at FoxAcre Press! The Last Thing They Expected Was First Contact! It's long ago been settled that humanity is all alone in the universe. All the centuries of searches for extra-terrestrial intelligence have turned up exactly nothing at all. And when humanity's first and only colony in another star system was invaded some years back, it was by unwanted human interlopers from Earth -- interlopers calling themselves The Fruitful, who are sure that God himself is guiding them. The new arrivals cause the colony trouble enough that many of the original settlers have packed up and moved elsewhere on the planet -- only to discover some very alarming signs that the first settlers aren't quite so alone as they thought. Phil Bertrand and Hazel Castagna had striven for years to reach and settle their new world, but they found themselves on different sides when the Fruitful arrived and forced hard choices on everyone. 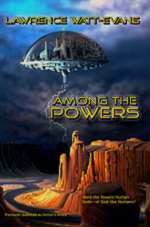 Now, without quite intending it, they have become allies again, as well as the half-unwilling co-leaders of a group that must find a way to protect humans from aliens -- and, perhaps, aliens from humans. But exactly who -- and what -- are the aliens? First serialized in Analog Magazine, this thrilling story overturns all the conventional ideas of First Contact. Night Ride and Sunrise forces a choice between the triumph of a philosophy and the survival of a species. There are, after all, times when an idea has the power to get everyone killed…. 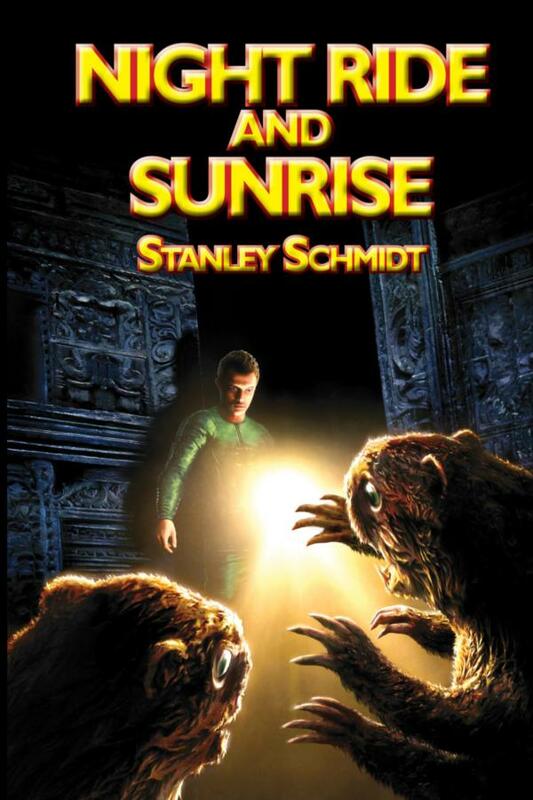 Click on the title or the book cover image to go the Book Information page for Night Ride and Sunrise. One minute, Lester Ordway is enjoying a lovely day in a nature park. In the next, he is stung right between the eyes by a strange flying insect unlike any he's ever seen before -- something almost like a robot insect. The attack somehow triggers an overwhelming tidal wave of memories, sensations and emotions. At the hospital where he goes for treatment, a swarm of even smaller insects attack med-tech Pilar Ramirez and several other people before vanishing. Frightened but fascinated, and frustrated by the hospital's attempt to explain away what happened, Pilar befriends Lester and joins his quest for an explanation, along with entomologist Maybelle Terwilliger. The mounting evidence soon forces them to consider a seemingly impossible explanation: a secret alien invasion of Earth. It seems as if they have accidentally uncovered a planetary incursion: an attack on a tiny scale, but of global scope. The pervasive reconnaissance puts the legendary hundred eyes of Argus to shame: Someone is literally bugging the planet. But why? All they know for sure is that, when the invading force realizes that it has been discovered, its response bears all the earmarks of hostile intent…. Click on the title or the book cover image to go the Book Information page for Argonaut. 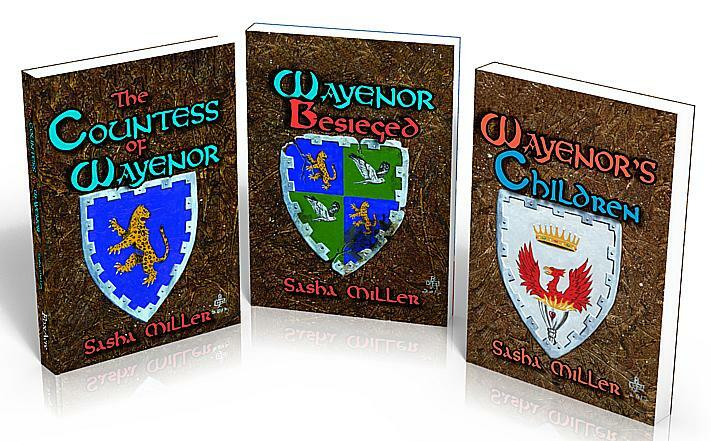 Click on the Image to Learn More About This Exciting New Fantasy Saga! Dale Kinsall thinks he's pretty much adjusted to his new Arizona home--to the eccentric nature of his clinic staff and to the altitude and climate of the high desert. He's even used to being pointed out as the veterinarian who solved the eco-murders. But that fragile sense of stability vanishes overnight. Contractors turn the clinic upsidedown, fellow-vet Laura's nephew is deathly ill, Laura herself is hit by the same feared virus--and then Dale himself is the victim of a brutal and mysterious attack. Dale can't believe it's all coincidence... but everyone else pretty much thinks he’s nuts. Sully knows the Scent of Danger. Lawrence Watt-Evans heads out on the road to explore a whole multiverse of stories on the theme of travel to places that are not just elsewhere, but elsewhen. 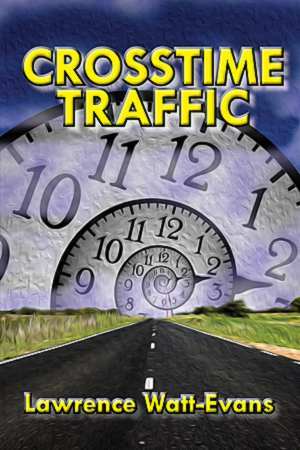 These stories make it clear that time travel is not just about trips to the past and future: Crosstime Traffic will take you sideways in time. 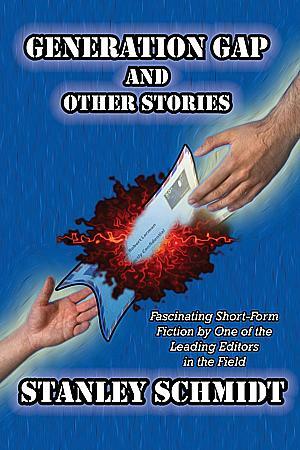 Includes the Hugo-winning story "Why I Left Harry's All-Night Hamburgers," and a new afterword by the author. 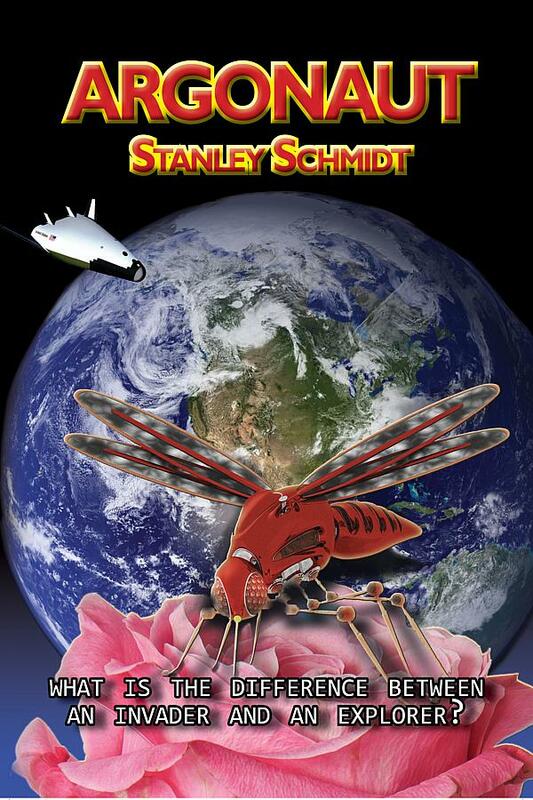 Stanley Schmidt has been writing even longer that he's been editing. Here, gathered between two covers, are many of his favorite and best stories, ranging from the hardest of hard science fiction to the exploration of complex philosophical ideas. What is the nature of time? Is it best for humanity to be lord of the food chain, or would it keep us on our toes if we let someone else be the top predator? Dr. Schmidt includes an introduction, telling the stories behind the stories and exploring his approach to fiction. This collection belongs on the shelf of every serious reader of short-form science fiction. What if a man could go forward in time to learn about the future -- and then backwards in time to correct a dreadful mistake? But what if going back in time was, in and of itself, the most terrible mistake possible? Could things really be that bad? A life's journey that started off bending -- and breaking -- a few real estate laws couldn't really wind up ending life as we know it? That would have to be impossible. Or would it? 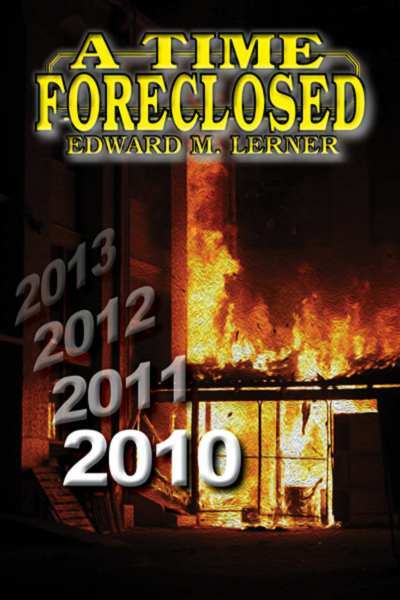 For a list of all print and ebook titles by Edward M. Lerner available from FoxAcre Press, and sales links to online booksellers, click here. Mitt Romney is not the first Mormon to run for President -- nor was his father, George Romney, the first. The distinction belongs to Joseph Smith, who was in fact the first Mormon. 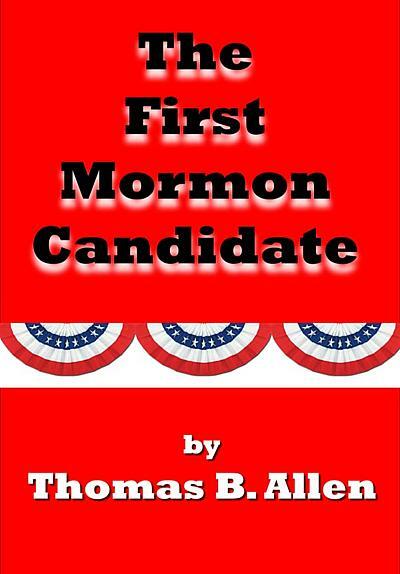 Smith, who founded what became the Church of Jesus Christ of Latter-day Saint, announced his candidacy in January 1844 as a Mormon on a platform based on tenets of the Mormon religion. His announcement was a fateful decision for him and the future of his religion, and a fascinating moment of forgotten American history. Drone attacks and unmanned spy planes are in the headlines every day, along with cyber-attacks and computer worms. 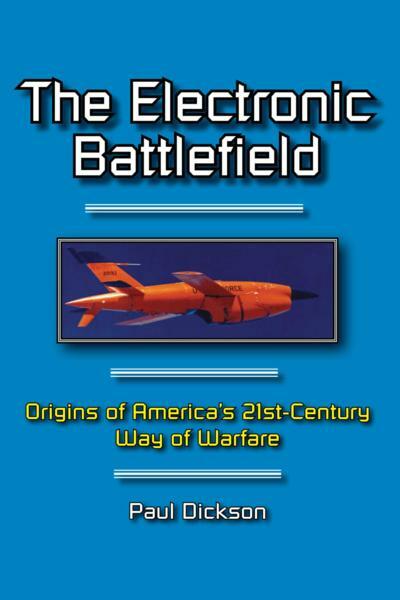 Now read the true story of the beginnings of high-tech warfare. Learn how and when the decisions were made, the weapons created, the strategies and tactics chosen that brought us to where we are. In this classic account, Paul Dickson takes us back to the waning days of the Vietnam conflict, and the earliest days of “push-button war”—and the startling story of the birth of The Electronic Battlefield. FoxAcre Press is proud to launch our line of mystery titles with Nose for Trouble as author Doranna Durgin introduces two of the most unlikely--and most engaging--detectives you're ever likely to meet. 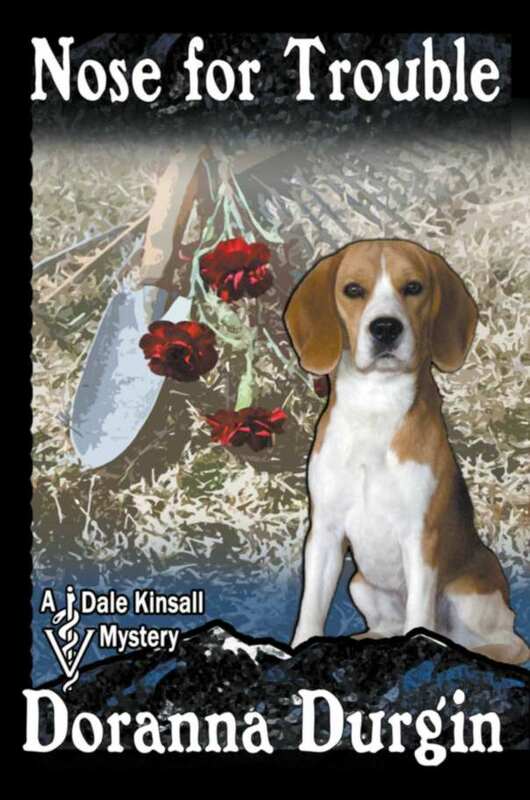 Dr. Dale Kinsall, DVM, and his young Beagle Sully find themselves very much in the middle of a shocking string of murders--and a mysterious someone, who just might be the murderer, is taking a most unhealthy interest in both of them. 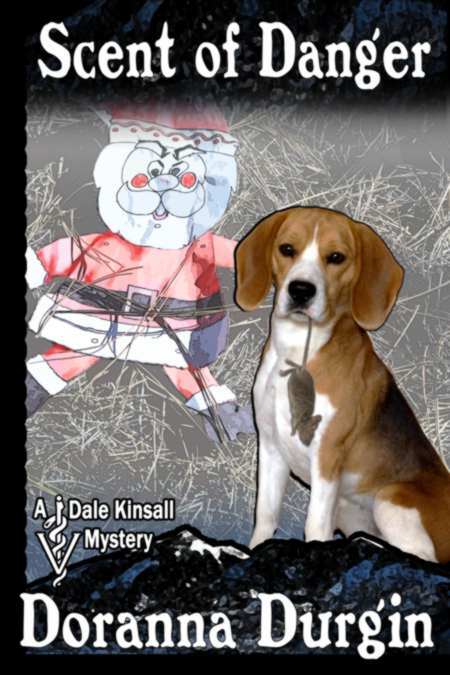 But Dale has more to deal with than just the corpses that keep turning up--there's the little matter of settling in at his new job at a vet clinic that seems to be staffed by eccentrics, and kept in business by a clientele that's even odder, and a very promising new relationship that has some real work-related issues. And there's the small matter of Dale's new boss, who seems more than willing to blame Dale for all the sudden turmoil. After all, just like his dog Sully, Dale seems to have developed a Nose for Trouble. 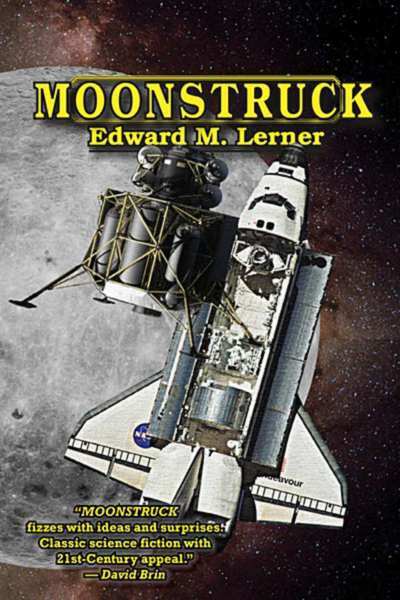 Edward M. Lerner brings together some of his most intriguing essays and improbable stories together in this collection, combining a storyteller's imagination with the solid technical expertise of a physicist and engineer. Q: What's Smaller Than an Atom … And Larger Than a Universe? 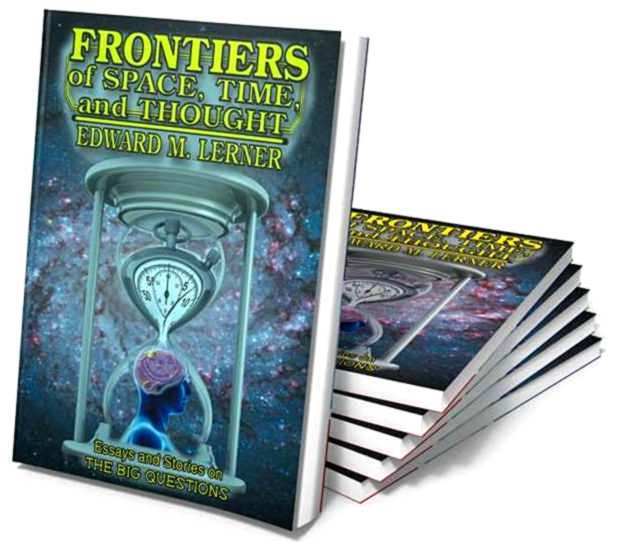 Frontiers of Space, Time, and Thought brings together more than a dozen of Edward M. Lerner's most engaging short stories to take the reader on a grand tour of Big Ideas: from virtual reality to artificial intelligence to homicidal time-traveling grandchildren to troubled aliens wondering if they are alone. Journey along in these beguiling tales as we start by colonizing near-Earth space-and end up in the farthest reaches of the multiverse. Lerner's novels and short fiction have intrigued fans around the world--and this collection will show you why. But truth can be stranger than fiction-and Lerner is not just a writer; he's a professional computer engineer and physicist. His fact articles have pride of place in this collection, and they pose some Really Big Questions. How can we protect Earth from asteroids? What will commercialized spaceflight be like in the post-shuttle era? What will privacy (or the lack thereof) mean in the Internet age? He lays out the why, where, and (perhaps the) how of faster-than-light travel; and the challenges of communicating with alien species. Expanded and updated with the latest information, and with full references and links to further reading, these essays will take you to and beyond the Frontiers of Space, Time, and Thought. 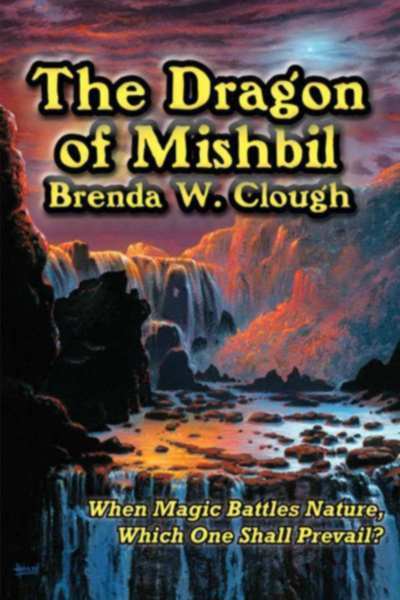 The River Bilcad is a Dragon indeed -- a monster but poorly restrained by the canals built to control its raging waters. Princess Zaryas, youthful viceroy of the city, learns, quite literally, that the ground has shifted under them all. Slow movements in the earth have raised the mouths of the canals higher that the river, rendering them useless. Mishbil will slowly die of thirst. A brash young Magus named Xerlanthor comes forward with a daring plan: to use muscle and magic to dam the river and refill the canals. He seeks to win favor for his plan even as he strives to win Zaryas' heart. Ruler of a people that love to gamble, Zayras must bet everything, not knowing if her choices will lead to a double triumph--or a double disaster. 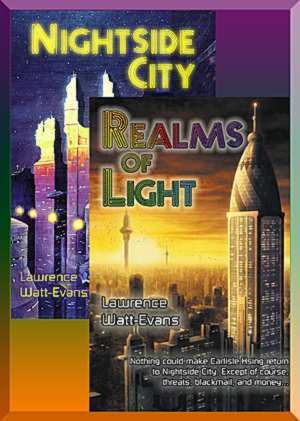 Set sail on some most improbable seas with Hugo-winner Lawrence Watt-Evans as he explores the universe of stories set in the past -- stories the couldn't possibly have happened, but probably should have. Includes "The Final Folly of Captain Dancy," "Windwagon Smith and the Martians," "My Mother and I Go Shopping," and "One Million Lightbulbs." 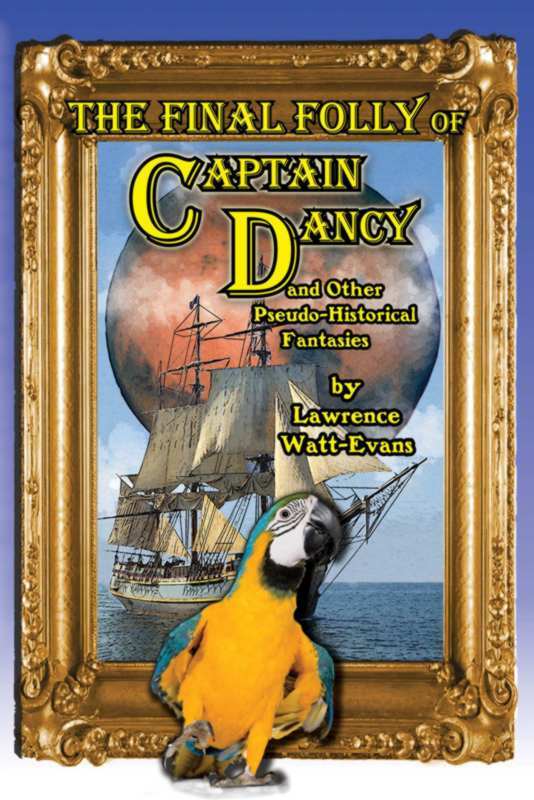 Bonus features: A new introduction by the author, an essay on how he came to write "Captain Dancy," and, at long last, the revelation we've all been waiting on so long: "What the Parrot Was For." A concise and funny guide to writing prose and fiction, full of advice that the would-be writer of prose, and particularly fiction, would do well to heed. Sasha Miller writes with the sharp, witty, acerbic, and yet gentle style that has made her the bane and the delight of thousands of writing students. 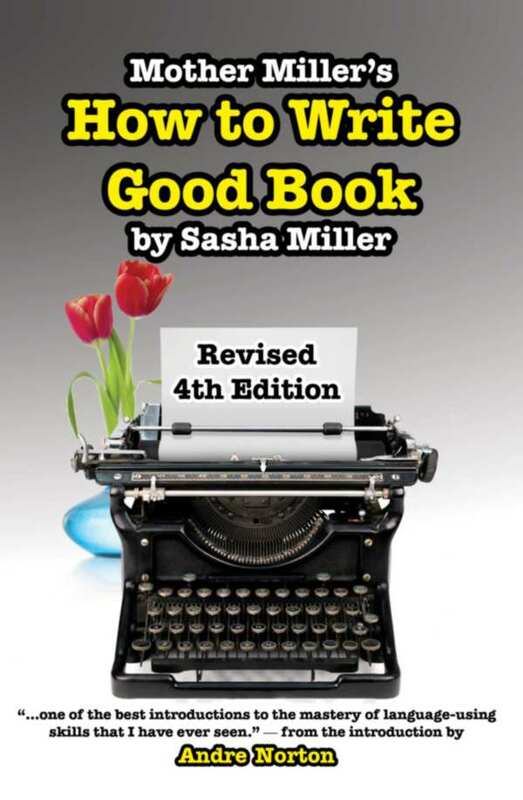 Mother Miller's How To Write Good Book might not take itself too seriously, but it is full of advice that the would-be writer of prose, and particularly fiction, would do well to heed. Put this concise guide on a shelf close to your desk, in between The Elements of Style and your favorite dictionary. You'll reach for it that often. Written with wit and humor, MMHTWGB (this book is best known by its initials) covers everything from plotting to character development to grammar to manuscript style. Newly revised edition includes a full index, new entries, and an introduction by Andre Norton -- plus a price cut! Success to our Troop, our Country, and King. That was a song of the Loyalists, Americans who opposed the Revolution and took up arms to fight for King George III. 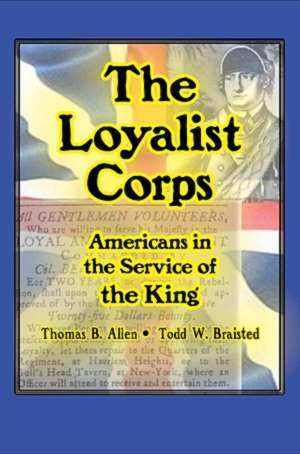 The Loyalist equivalent of the Continental Army was the Loyalist Corps. More than 150 military units were raised by Loyalists during the Revolutionary War. In the South alone, British military archives list twenty-six Loyalist units that fought in southern campaigns. There, a Continental Army officer wrote, Loyalists and Rebels fought "with little less than savage fury." In this volume are the stories of these military units, and the men who fought in them-Americans in the Service of the King. Will our first contact with aliens be the dawn of a new tomorrow -- or the last act in human history? The moon has suddenly acquired its own satellite: a two-mile-across starship that represents a hitherto unsuspected Galactic Commonwealth. The F’thk, a vaguely centaur-like member species for whom Earth’s ecology is hospitable, have been sent to evaluate humanity for prospective membership. The F’thk are overtly friendly but very private – “Information is a trade good.” As Earth’s scientists struggle to understand their secretive appraisers, odd inconsistencies emerge. As troubling as those anomalies is the re-emergence of a bit of insanity humanity thought it had outgrown: Cold War and nuclear saber-rattling. ... And what will they do if humanity refuses to play its assigned role? What if First Contact doesn’t come the way we expect it—or with the sort of aliens we expect? When both sides have secrets within secrets to keep, how is anyone supposed to know the truth—or live long enough to tell it? Will it turn out to be the greatest discovery of all time … or the biggest hoax? 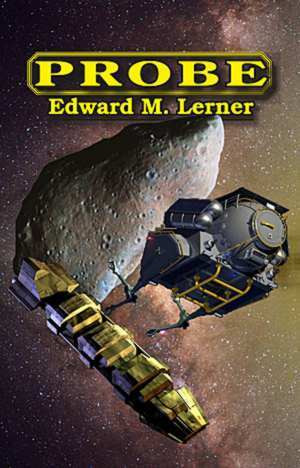 Bob Hanson, the chief scientist of a major aerospace corporation, has made an incredible discovery: a wrecked alien spacecraft adrift in the Asteroid Belt. The evidence is compelling—video images from the Prospector space probe he himself had created. The military enthusiastically embraces an investigation of the extraterrestrials, remarkably indifferent to the inconsistencies that begin to appear. Undeterred, Hanson keeps digging … and finds much more than he had ever bargained for. Soon on the lam, he, and everyone to whom he turns, is hunted. Before long only one conclusion remains unassailable—that his mysterious opponents play for keeps. Are aliens manipulating events on Earth? Did unscrupulous corporate executives invent the aliens in search of giga-buck government contracts? Has the Pentagon fabricated an alien menace for its own purposes? Or is the truth something really unimaginable? Two from the casebook of sf detective-noir investigator Carlisle Hsing. Nightside City was supposed to remain in eternal darkness -- but a killing dawn is coming that will destroy everything. So why is someone buying up the town? When Carlisle is forced to leave the comforting eternal darkness and venture into Realms of Light, she finds herself in the midst of an attempted murder -- and she'd better solve the case, or else the intended victim might want her dead. Special Offer! Buy both titles at once and save 20% off the cover price. Click here to learn more. The Book of Record of the Time Capsule tells the people of the Future where to find the secrets of the past. But The Book of Record has own story --one that has waited for far too long to be told. The world’s first Time Capsule, filled with artifacts and documents that tell the story of 1930s America, was buried at the site of the 1939-1940 New York World’s Fair. Time Capsule II was buried ten feet away at the 1964-1965 Fair. Together, the two Time Capsules comprise a message to the future, meant to be opened by the people of the year 6939 A.D. But what if, by that date, all knowledge of the Fairs, of New York City, of the English language itself, has been lost in the mists of time? How were the Futurians to find this hidden trove of knowledge, or know what it contained? The simple but wildly ambitious answer: The Book of Record of the Time Capsule--a treasure map in book form, intended to teach the Futurians our language, tell them who we were, and lead them to the buried treasure that awaits them. 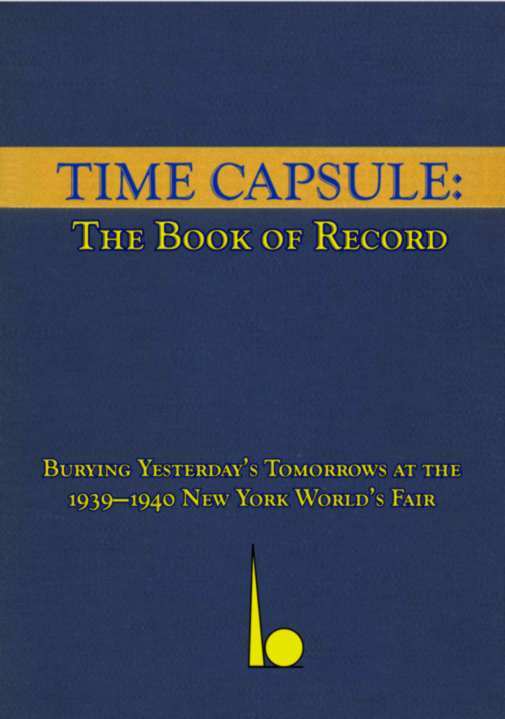 Time Capsule: The Book of Record precisely reproduces every page of the text typesetting and illustrations of the original Book of Record, and includes a brief but detailed history of the Time Capsules and the original Book of Record, brief biographies of the men who created The Book of Record, and a full index. When the First Call from the Stars Comes, Do We Even Dare to Answer? In InterstellarNet: Origins, Life changes for everyone in general—and for physicist Dean Matthews in particular—when astronomers detect a radio signal from a nearby star. 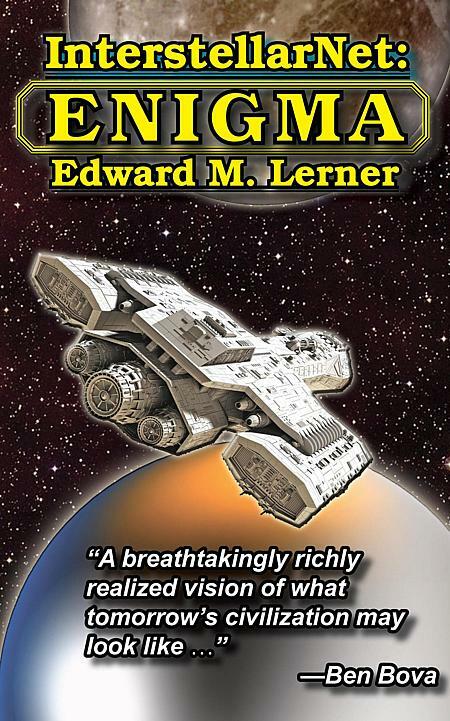 In InterstellarNet: New Order, the saga continues, with a startling tale of Second Contact, as humanity discovers that all the rules have changed -- quite literally, with a vengeance. Visit HazelBook.com, the website for The First Book of Hazel: A Quick Guide to the Hazel Internet Merchandizing System. Our titles are now available from major on-line booksellers. Scroll down to view all our titles. Click on any title or book cover below for more information.